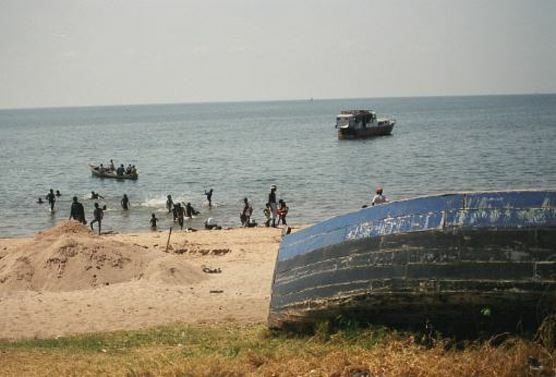 KIRUNDO – Burundi has in a fresh row accused the Rwandan marine of kidnapping four of its fishermen on Lake Rweru in Kirundo Province. The incident comes amid deteriorating relations between Burundi and Rwanda after President Pierre Nkurunziza wrote a letter to his Ugandan counterpart Yoweri Museveni, the current chairman of the East African Community (EAC), calling for an “extraordinary summit whose agenda should be to clear the issues of open conflict between Burundi and Rwanda”. President Nkurunziza, in the letter dated December 4, accused Rwanda of preparing and supervising the failed coup d’état in 2015. “Rwanda is the only country in the region that is the main destabiliser of my country and therefore I no longer consider it a partner, but simply an enemy,” wrote the president. Kigali has repeatedly denied the allegations, saying Burundi should not blame neighbouring countries for its internal problems. In 2014, more than 40 unidentified bodies were found on the lake, with both Rwanda and Burundi denying being responsible for the deaths. The two neighbours have since 2015 had tensions around their common border, while trading accusations. In September, the Burundi police said that ‘unidentified criminals’ from Rwanda killed a 27-year-old, Mr Ngendakumana Daniel and his wife Nikiza Elizabeth, in Kayanza Province in the northern part of the country. The province shares a border with Rwanda. Earlier in July, the Rwandan government said that an armed gang shot five people, killing two of them in a village in the south, with Kigali claiming the attackers came from Nyungwe forest which borders Burundi. The Burundi and Rwanda relations have been sour since 2015 when Bujumbura accused Kigali of training refugees to oust President Nkurunziza’s government. Rwanda accuses Burundi of hosting the FDLR rebels it blames for committing the 1994 genocide against the Tutsis and moderate Hutus. President Kagame recently warned ‘enemies of Rwanda’ that they will be dealt with decisively. In a rare appearance in military fatigues, Kagame, while presiding over the Rwanda Defence Forces (RDF) drill dubbed “Exercise Hard Punch III” at Gabiro Combat Training Centre in the Eastern Province, said that while Kigali would not attack anybody, the military has the skills and capabilities to deal with the enemy whenever necessary.